The Dullahan (a type of faerie) is an Irish headless rider. The entity rides a black horse while carrying his/her head to the side. The Dullahan’s whip is made of human spines and the wagon the Dullahan drags is often funerary and grotesque in nature (e.g. the spokes of the wheels made from thigh bones). The location of The Dullahan stopping is significant of the impending death of a person. The entity calls out the person’s name, leading to their immediate disintegration. Dullahans cannot be stopped while riding via barricade or road blocks as all locks and gates will open of their own accord. They have been known to throw buckets of blood on those who spy on them, which is seen as a mark of death. They have an inexplicable fear of gold. 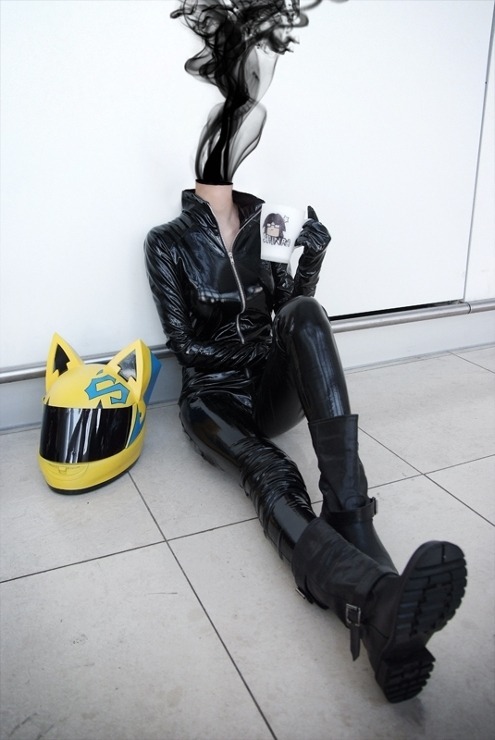 Some modern depictions of the Dullahan include the anime Durarara!! where the Dullahan, Celty Sturluson, travels to Japan to retrieve her stolen head, which she believes was attached to the body of another woman. Her memories and identity are half formed, and she longs to be reunited with her head, believing she’ll finally have answers to her past. In lieu of her head is a plume of black smoke. She rides the streets of Japan on a motorcycle instead of a horse. Of course, in America, the Hessian of Sleepy Hollow fame is a restless spirit and not a fairy. A lesser known alternative is the Brazilian Headless Mule. The backstory to this legend is that a ghost of a woman is cursed for her life of promiscuity (some stories link the woman to sexual relations with clergy) and is sentenced to being a headless, fire-spewing mule from Thursday night to Friday morning.